I think you’d all agree that most long-term travelers don’t really need to pack a suit or an evening dress in their backpacks. Personally, a nice “going out” shirt was all I ever required, just in case I needed to dress to impress. And – top travel tip ahoy – you can iron that by hanging it in the steam of a hot shower. But if you’re a regular business trip kinda guy or gal, then you need something that’ll keep your threads looking tip-top. The problem is, ensuring smart clothes arrive neat and wrinkle-free is damn near impossible in most types of luggage. Even when meticulously laid out with military precision, when you reach your destination it’ll still come out looking like Gordon Ramsey’s face. And this can be something of a problem if you don’t want to look like you’ve been dragged through a hedge backwards. That’s where garment bags come in – specifically designed luggage to help keep your clothes in pristine condition when traveling from A to B. But if you’re not particularly savvy when it comes to this market, I’ve done the hard work and reviewed 14 products so you can find the best carry-on garment bag for you. And to give you even more purchasing power, below the reviews I’ve added a guide on what to look for before making your final choice. Let’s get started and see if we can find the best carry-on garment bag 2019. There’s a lot to get through and a ton of choices out there, so let’s not beat about the bush and dive right in. 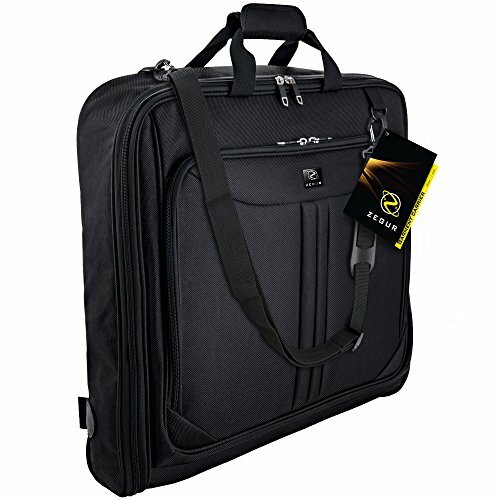 First up is this great budget option from Dalix – which is perfect if you’re not a regular garment bag user or you only need the product for a once-off event or function. Its size is 24″ width x 39″ length x 4 1/4″ deep and made from polyester. It weighs just 1.3 ounces. The main compartment can fit 1-2 suits or up to 8 shirts, as well as short dresses. It also includes two extra front zippered pockets for other items of clothing or shoes. Great price – it’s a steal. Comes in lots of colors. Might not stand up to more rugged traveling challenges. A great bag to protect your gear for casual use or if you’re not going too far. You can’t go wrong with the price, but don’t expect it to last a lifetime of heavy use. 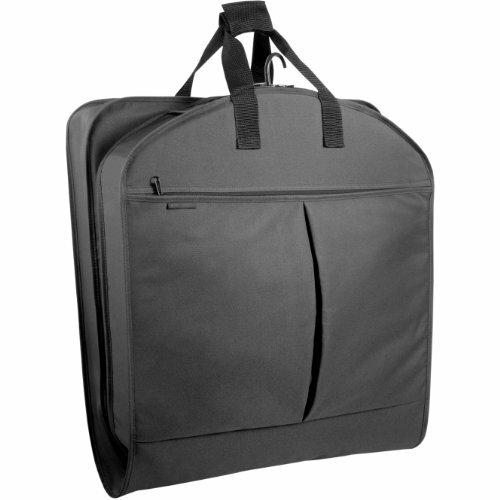 Another simple but effective design is this bi-fold travel garment bag from Amolar. It has multiple interior pockets to keep all your extra gear organized, as well as space for up to 3 suits or dresses. Made from black nylon, the bag measures 20”x 23.5”x 2” and is water resistant. This is a decent option if you want a no-nonsense garment protector, but it’s not going to turn any heads for style. There are similar products available with better quality if you’re willing to pay a little more – but this gets the job done for a great price. We begin to move away from the basic and budget options and enter the mid-range with this number from Prottoni. 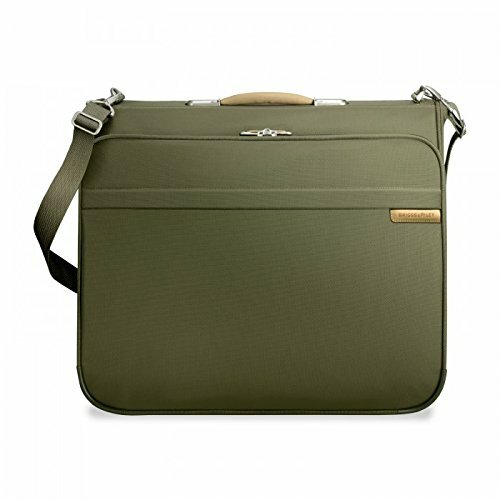 It’s made with reinforced polyester with a PVC lining that is water resistant, measuring 44 x 24 x 1.5 inches. It can take 3-5 dresses or up to 3 suits, plus other items in various pockets – including a laptop, shoes and other documents. Shoulder strap for easy carrying. Loads of room and pockets for all your gear. Baggage strap for attaching to other luggage. Tie down straps inside to prevent garment movement. Might be a little too large for a carry-on – check your airline. A nice option if you need something a little sturdier and longer lasting than the budget range, but you don’t want to break the bank just yet. 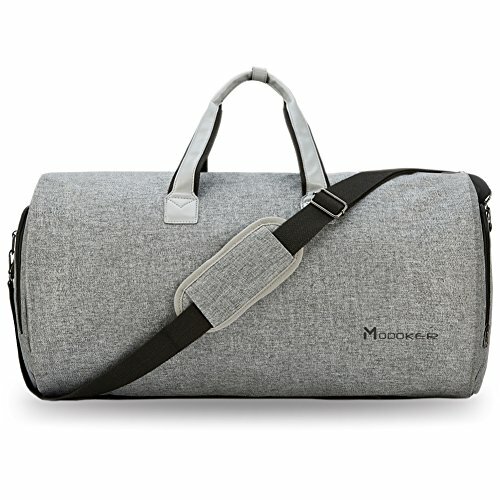 For a garment bag that doesn’t look like a garment bag, you’ve come to the right place with this design from Modoker. It’s a duffel bag style with shoulder strap that has an astonishing 45-liter capacity while measuring 22.8” L x 11” W x 11.8” H.
It’s made from scratch and water-resistant polyester fiber, with a really intelligent use of space inside. 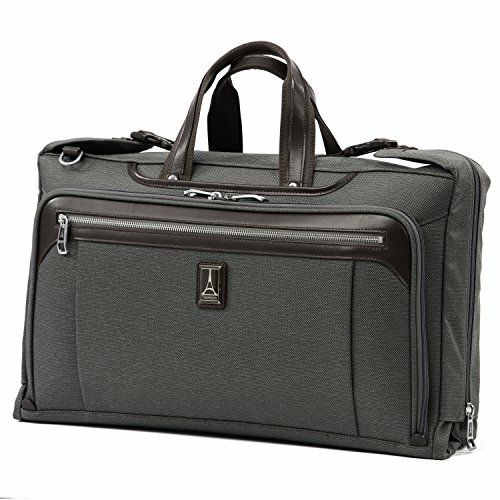 This is a great all-round bag for a short business trip or weekend away. Genius internal design – maximizes all the space. Special compartment for shoes and necktie. More than one suit might be pushing it. I love the design of this bag – some real thought has gone into it for the perfect pack-up-and-go choice. 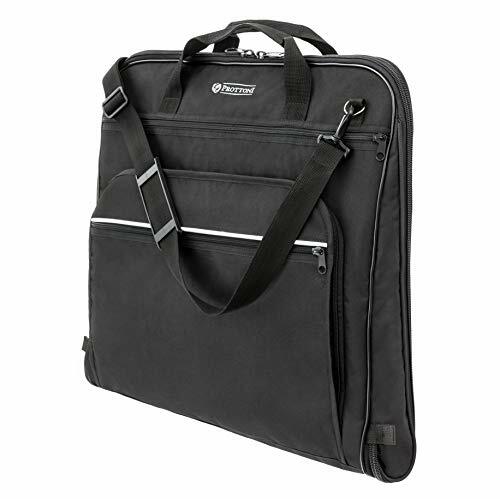 It has a good shot at being the best carry-on garment bag for business travel – but you could use this for those short pleasure trips too. Wallybags are an American company specializing in carry-on luggage. This is one of their bi-fold garment bag options. It comes with their special “Wallylock” hanger clamp that secures your garments in place so they don’t shoogle around too much in transit. Bags with this kind of support are much better at ensuring your clothes stay wrinkle-free. It can hold up to 6 garments comfortably in its 40 x 22 x 3 specifications, housed in water-repellent polyester. Empty it weighs 2 Lbs. Garment clamp is a great addition. No shoulder strap can be a problem. For a bi-fold bag this is a more solid option than the budget range but once again check with your airline for the size. As mentioned, bi-fold bags can be a little on the bulky side. Next up with have this extremely popular, best-selling model from Zegur. Measuring 23”x 22”x 4” when folded, this is a sturdy piece of kit made from tough 1800D, water-resistant polyester that will stand up to its fair share of bumps and knocks on your travels. The interior has loads of pockets and compartments to stay organized, with the ability to carry up to 3 suits or dresses comfortably. Three straps and buckles to hold garments in place. None to speak of at the time of writing – let me know! This is a terrific all-rounder, with loads of space, sturdy construction, and smart design. It won’t look out of place on any business trip that’s for sure, and the price is great for this solid mid-ranger. 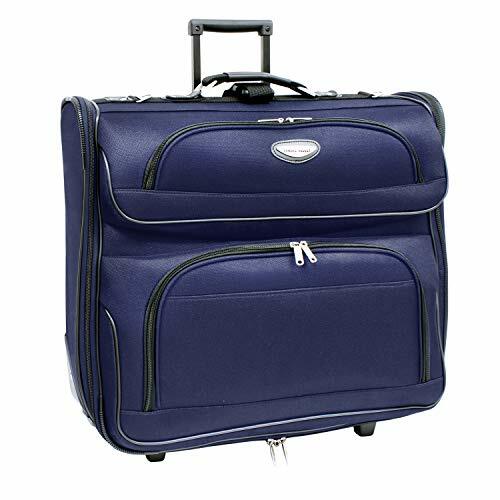 The first of our rolling garment bags sees this entry from Travel Select, made from tough 1200D polyester. It measures 7x22x23 with a spacious main compartment and various other zipped and mesh pockets throughout. It weighs 9.3 lbs when empty. Solid construction on the in-line wheels that are corner protected against any bumps. It’s a decent entry-level roller from Travel Select, but some people might be a bit miffed at the orientation of hanging clothes. Once again, it also has mixed reports when it comes to its allowance as a carry-on, so bear that in mind before purchasing. Despite the name, London Fog is a US clothing company usually specializing in coats. They’ve been around since 1923 bringing you some super-stylish apparel. And you need something equally stylish to keep it in, so this is one of many garment bags they offer and it certainly looks the part. It’s a truly beautiful, book-opening design that measures 22.5x4x44. 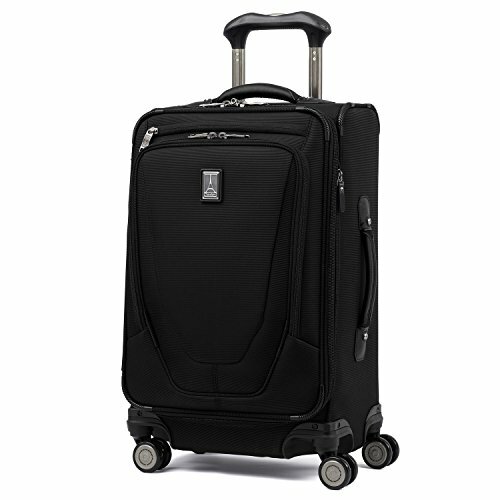 If it’s a little on the large side for a carry-on, there are loads of other options in this classy range. Bags don’t get much sharper than this. Really good price for the cost to quality ratio. Might be a little on the bulky side. An altogether stunning offering from London Fog, if you’re a consumer with a priority for style – then allow me to introduce your new travel companion. Might be a little on the large side for some though. Travelpro manufacture bags that specifically cater to airline crew, so if this doesn’t fit check-in requirements, heads need to roll. Constructed from tough-as-nails ballistic nylon, the bag’s dimensions are 23.5×14.5×9.5 and it weighs 7.2 lbs. As well as having loads of space for all your garments, the hardware is seriously impressive, with 8 magnetically aligned wheels to keep the bag grounded (never the agony of a roller bag twisting and smashing into your ankles), a USB charging port with power bank pocket and a PowerScope telescopic handle. The suiter is just a sheet insert. 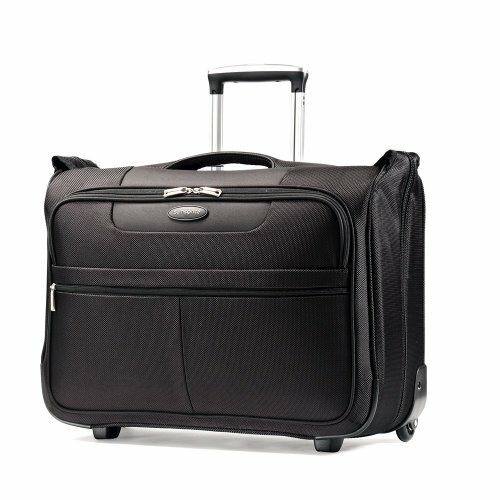 A terrific, multi-use bag for business or pleasure, the wheel system might make it the best rolling carry-on garment bag available. As ever there’s the dreaded trade-off, with the actual garment protection a little on the light side. Thems the breaks though! Hot on the heels comes another Travelpro entry, this time a design more suitable for actually carrying garments. Also comes with a built-in, transparent, waterproof toiletries bag. No more holding up the airport security line ever again. A minor niggle, but it looks a little fiddly to open. 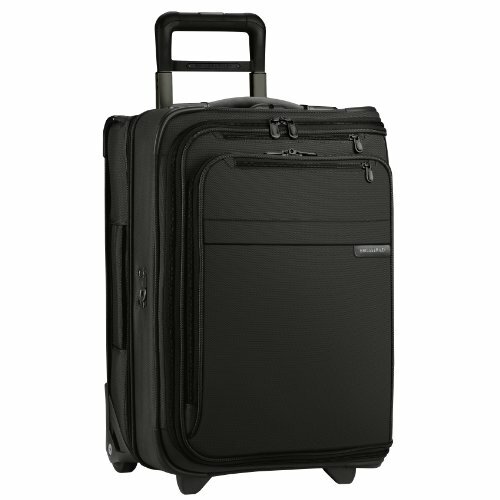 A stylish Travelpro option that would be suitable for regular use. American luggage manufacturer Samsonite was bound to have an entry, and I’ve gone for this option with enough space to pack for a 3-day trip. It’s an open book design with loads of space for all your bits and bobs, measuring 21 x 14.5 x 8 inches and weighing in at 8.6 lbs. This is a nice straightforward option as a roller bag carry-on, but it’s not going to set the world alight with its design. It’s quite expensive for what it is – but then it is a Samsonite. Like Samsonite, it was a matter of time before a Briggs & Riley case was featured – but they are the high-end of airline luggage manufacturers. 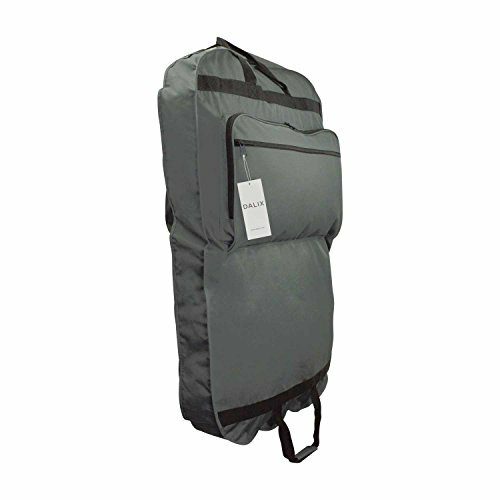 The American company step into the fray with this beautifully constructed garment bag, with a classic look and feel, that measures 12 x 24 x 22 inches and weighs 8.9 lbs. It’s probably got more compartments and pockets than you have stuff, and the quality of the build is exceptional, with 1680D ballistic nylon that resists wear, water, dirt, and abrasion. It’s a head-turner for sure. Practical interior with quality hardware. The price will put most casual users off. Unless you’re going for a flashy fashion label, Briggs & Riley are pretty much top of the food chain when it comes to high-end luggage. This carry-on is no exception, a beautifully made, practical piece of kit that will last a lifetime. For those who prefer the upright garment bags, here’s a Briggs & Riley offering that caters just for you. It has the same solid 1680D ballistic nylon construction as the previous entry, and again built with aircraft-grade hardware you could probably send into space – and in this day and age, it won’t be long before I’m doing reviews for exactly that. Not the most capacious bag on offer. If you’ve got money to burn or you’re going to get years of use out of it – then this bag is for you. But bear in mind that while it is ergonomically designed to within an inch of its life – it could do with being a little more spacious. 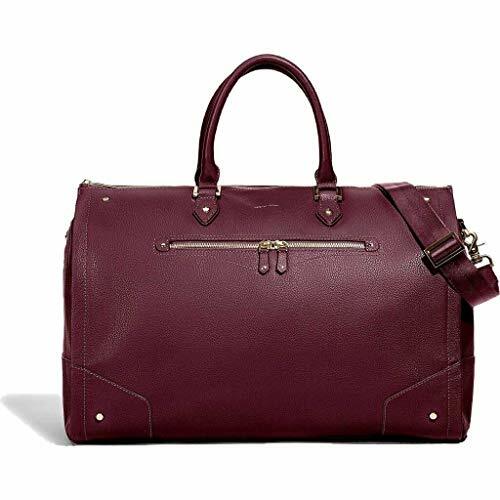 Based out of New York, luggage specialists Hook & Albert get in on the game with their women’s duffle-style option. 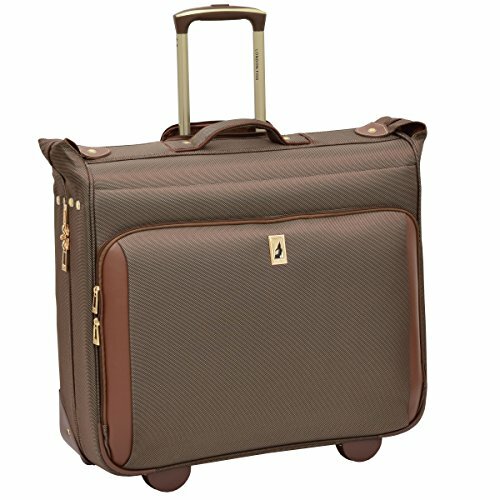 We’ve probably seen the best men’s carry-on garment bag, so let’s have a look at one for the ladies. It’s a charming, practical design, similar to the Modoker version above (with this product being considerably more expensive). It’s made from top-grain pebbled leather with suede-lined pockets, and measures 19.75″ x 12.25″ x 9″. As classy as they come. Designed with women in mind. Not suitable for longer trips away. A gorgeous effort from Hook & Albert, it’ll set you back a pretty penny if you want to look this good. You’ve got to start somewhere when choosing garment bags, so take a look at this bite-sized guide so you know what to look out for when it comes to all the designs and features. 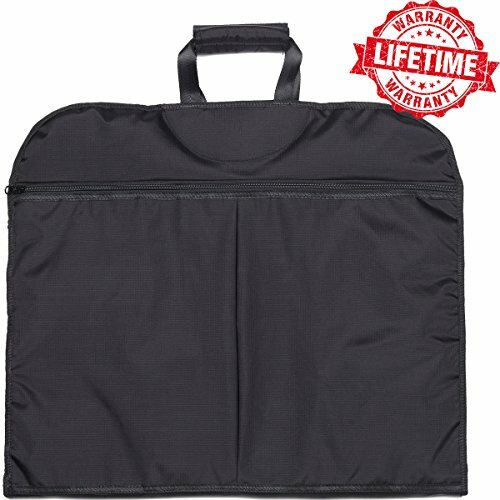 Garment bags – like all bags – come in a variety of shapes and sizes. Choosing the size that’s right for you depends on a number of factors, most notably – how much gear do you need to carry. If you’re going away on business for extended periods you might want to look for a more sizable product to keep your choice of attire in tip-top condition. But if it’s just for single use, say a one-off function or something similar, your bag doesn’t have to carry the kitchen sink. Some garment bags can only be checked-in luggage too, and while I’ve done my best to choose only carry-on products for this review, it’s always best to double check with your chosen airline the maximum size of bag they allow in the cabin. We’d all like luggage that is as light as a feather and we barely have to use any effort to transport it, but we don’t always have this luxury. Manufacturers continue to try to find the best materials to keep bags super lightweight, so overall, they contribute as little as possible once your kit is all loaded up. However, there’s always a trade-off, and lighter bags might not have the best durability – or perhaps won’t last as long – as some of the heavier duty options out there. Which brings us nicely onto the material a bag is constructed from. This can make all the difference when it comes to the look, feel, longevity and weight of the bag. And depending on what type of person you are, it can give you a selection headache when it comes to aesthetics versus practicality. Nylon, leather, polyester, canvas, plastic… each material will have its own advantages and disadvantages – and of course, a difference in cost. It might seem you’re learning origami rather than choosing the best carry-on garment bag when faced with tri-fold and bi-fold options. Bi-fold is the most basic choice – which simply folds your garment in half. A tri-fold bag will have an extra section with more space for another suit, dress or whatever items clothing you’re packing, and is generally more capacious. Bi-fold bags can often be too large for carry-on luggage. Again – check with your airline. Then there are duffle bag designs, bags with rollers for ease of transportation, vertical or horizontal bags designs…the list goes on. It’s up to you to choose the right combination of options for your needs. Don’t look beyond the little things when selecting your garment bag – they literally can make or break the quality of a product. Zippers, hooks, buckles, and clips et al should be sturdy enough to last and take the rigors of travel without falling apart. All good garment bags will come with internal clips to secure your coat hangers – and if these are shoddy you might find your clothes look like they’re ready for a thrift store when you arrive. Although the main function of a garment bag is to keep your clothes looking fresh, they often include other features to help make life a little easier. Extra internal and external pockets are useful for valuables, documents or other items you might require with you on your trip. A bag might also come with some security features too, such as combination locks or lockable zippers. Identification tags are useful, but if you’re in doubt, you can always check out luggage trackers to makes sure your belongings never go walkabout again. Now here’s the kicker – the cost of garment bags can vary wildly, with high-end products not giving you much change from thousands of dollars. Hey – if you’ve got the money to burn, knock yourself out! But a well-built product from a reputable travel-bag company is likely to be just as useful and practical as a Luis Vuitton. Perhaps even more so. As I always say – buy the best you can afford. But just remember that’s sometimes not the most expensive piece of kit out there. I hope that my little guide and review has helped you choose the best carry-on garment bag for all your travels. A reminder though for those of you needing carry-on luggage – air travel can be a fickle mistress, so always check with your airline for maximum carry-on size. It would be nice if they all sang from the same song sheet, but alas, that isn’t the case. Let me know in the comments section which bag has caught your eye and, in the meantime, why not download my eBook about solo travel safety? It’s not just all about keeping your garments safe – I hope you arrive wrinkle free too!